The Best Sweden Travel blogs from thousands of top Sweden blogs in our index using search and social metrics. Data will be refreshed once a week. About Blog Swedish Nomad is a popular travel blog that focuses on valuable tips and helpful guides with everything you need to travel more, better and cheaper. Facebook fans 27,503. Twitter followers 57,534. Stockholm About Blog Slow Travel Stockholm is run and managed by award-winning travel writer and photographer Lola Akinmade Åkerström. The aim is to establish a repository of eclectic information about the city from a range of perspectives to encourage deeper, more varied exploration . Facebook fans 1,456. Twitter followers 2,394. About Blog The best travel destinations in Sweden, including Stockholm, Gothenburg and Malmö, as well as personal and useful travel tips. An online travel guide and booking portal, promising to open up the very best of Sweden to English speaking travellers around the world. About Blog Greetings! My name is Sean Naughton. I will not be listing everything that Stockholm has to offer; instead I will add day by day experiences and thoughts exploring this great city, along with practical tips and upcoming events. I hope that you, as a future visitor to Stockholm, will find the information and experiences listed here of use in planning what to do and see during your visit. Sweden About Blog Study in Sweden is a comprehensive, official resource on higher education in Sweden for prospective and current international students.Learn what it's really like to be a student here through photos and stories of Swedish student life. Travel around Sweden to learn about Swedish culture, lifestyle and more. Facebook fans 372,736. Twitter followers 17,808. Berlin, DE About Blog The Travelette gets a manicure on monday and tuesday will go off to hike in the Himalaya. At travelettes.net we hope to provide you with guidelines, tips and our personal experiences on all things travel. Facebook fans 329,820. Twitter followers 9,019. London, England About Blog A travel and adventure blog inspiring readers to explore Africa, Asia, Europe and beyond through in-depth stories, travel tips, inspiration and beautiful photography. Facebook fans 3,472. Twitter followers 7,113. Stockholm, Sverige About Blog Welcome to the blog Äntligen vilse, a travel blog constantly on the move by Katarina Wohlfart, freelance photographer and writer with her feet on solid ground in Stockholm. On Äntligen vilse she blogs with a focus on travel, the visually beautiful and nature - travel. Facebook fans 381. Twitter followers 5,308. Stockholm, Sweden About Blog Fantasiresor is a Swedish travel blog for dreamy vagabonder. Fantasiresor has among other things won Sweden's best blogs about travel. Facebook fans 904. Twitter followers 1,488. Lindsborg, KS About Blog Since 1989 Anderson Scandinavian Tours has been offering the most affordable and exciting tour packages to Sweden, Norway, and Denmark. See and experience the best of these Nordic countries. Facebook fans 40. Twitter followers 7. Mountain View, CA About Blog Comprehensive up-to-date news coverage about Sweden Travel, aggregated from sources all over the world by Google News. Facebook fans 25,510,201. Twitter followers 214,489. 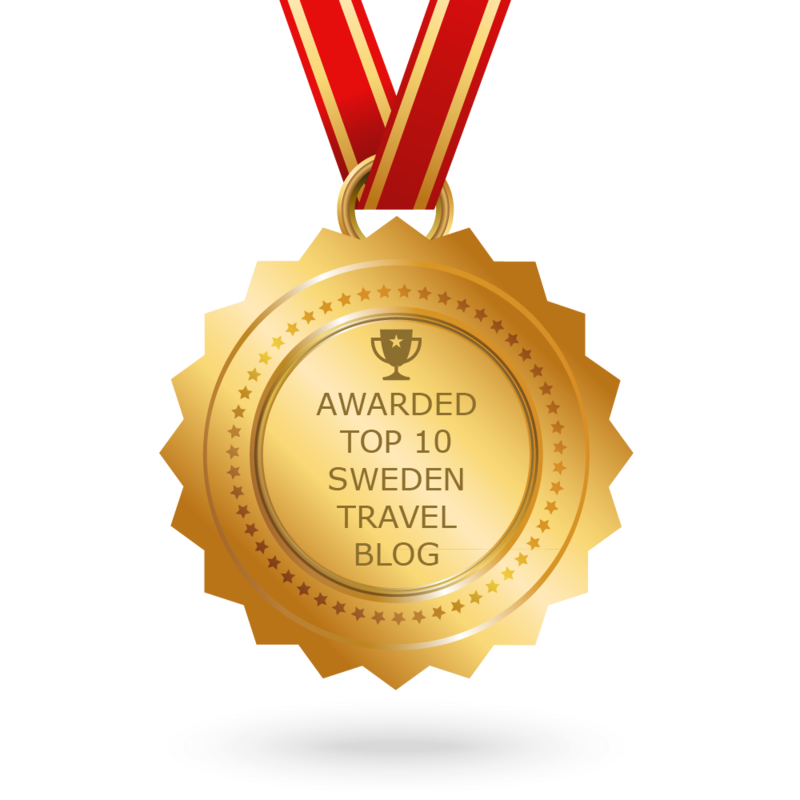 CONGRATULATIONS to every blogger that has made this Top Sweden Travel Blogs list! This is the most comprehensive list of best Sweden Travel blogs on the internet and I’m honoured to have you as part of this! I personally give you a high-five and want to thank you for your contribution to this world.